South Africa is home to 70% of the world’s rhinos, but their numbers are dwindling. 1,215 rhinos were killed in the nation for their prized horns by poachers in 2014, and the South African Department of Environmental Affairs estimates that rhino deaths could overtake rhino births by 2018. 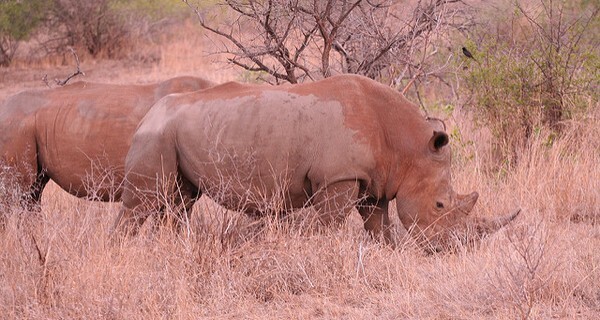 The concern is economic as well as environmental – Rhinos attract tourists into the area and provide a variety of jobs for the local population. Most rhino conservation efforts are reactive and invasive. Rhinos are either darted or their horns are drilled into to insert a tracking sensor. This method can be stressful and damaging for the animal, with some rhinos going blind or dying as a result. The team behind a recent collaboration between South African company Dimension Data and Cisco is taking a more proactive approach. Rather than tracking rhinos, they are using a range of sensor technologies to track humans who enter and leave a private game reserve next to the Kruger National Park in South Africa. The first phase of the project is now complete, whereby Dimension Data worked closely with Cisco and the reserve’s game rangers and security personnel to identify key points of entry, before installing a highly secure Reserve Area Network (RAN) and Wi-Fi hotspots. The second phase is under way. Once complete, CCTV, drones with infrared cameras, thermal imaging, vehicle tracking sensors and seismic sensors will be incorporated within a secure intelligent network so that all movements can be tracked and monitored.